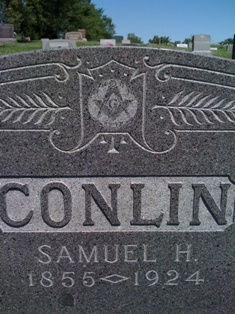 Masonic gravestones commemorate a life proudly well lived under the Creator's hand. These cemetery headstones can be found throughout the world. 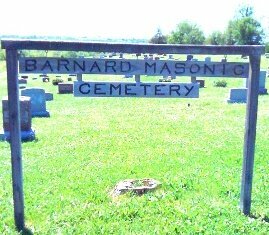 These old Masonic granite headstones with their Masonic symbol and emblem inscriptions are in the Barnard Masonic Cemetery in Barnard, Missouri. Vertical headstones like this one are called obelisks, an Egyptian art style which has been used for thousands of years. 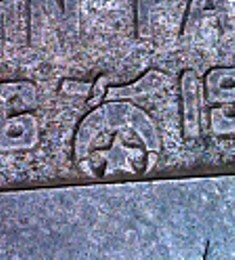 Below is a close-up of the above stone. The black around the lettering is from environmental damage which is slowly eroding the words and symbols. Notice that there is no "G" inside the square and compasses. This Odd Fellows obelisk gravestone which is over 100 years old, stands approximately 8 feet tall. 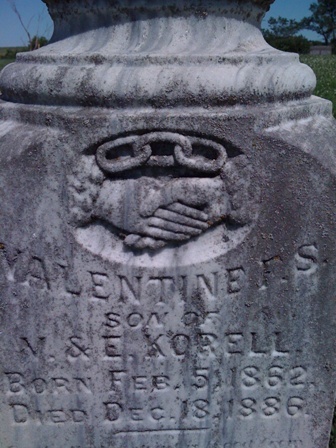 This stone has 3 chain links symbolizing the eternal cable tow between brothers in which is chiseled into this elaborate grave marker. The Independent Order of Odd Fellows, a fraternal organization with similar symbols to Freemasonry's, use the 3 chain links as one of their symbols. The 3 links stand for Friendship, Love and Truth, (F.L.T.). 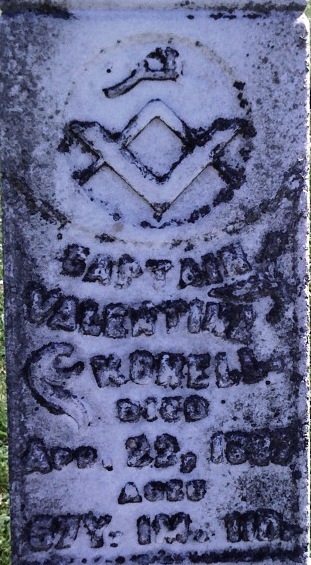 This stone marks the grave of a member of the Odd Fellows. Due to the similarities in symbolism between Freemasons and Oddfellows, sometimes it is difficult to clearly distinguish between these stones. 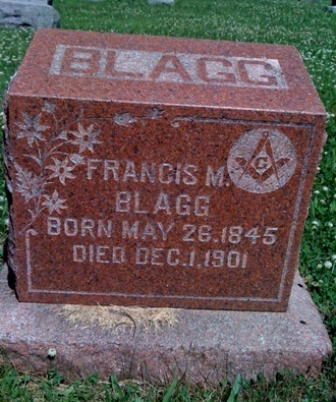 Many old Masonic gravestones were made with limestone or other stones that are "softer" (more porous) than marble or granite. 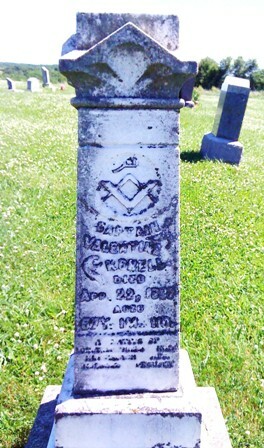 Due to ongoing environmental damage, the lettering on these old limestone Masonic grave markers of these past brothers is wearing away and will one day become unreadable. This stone belongs to my Great, Great Uncle. 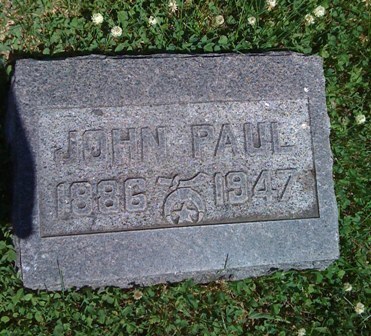 My father's stone in Nankin, Ohio. His name was Arthur C. Berry. Can anyone tell me what this symbol is about? It's on a grave stone from one of my family members.